The purpose of this tutorial is to illustrate how you can promote your Sale with multiple businesses to businesses. This technique makes it easy for shoppers to find that specific Sale at a business near to them. 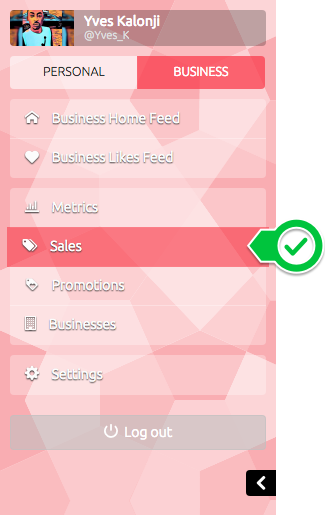 Go to Business Mode and Select the Sales tab. Select the Create Sale button. Enter details about your promotion. Make sure you don’t leave anything out unless it is optional. Select the Set button when you have completed filling in details about your promotion. Fill in details about your Target audience, Audience type and Search Keywords. Enter the duration of your promotion and select the Set button to complete filling the form. Select the Save & Continue button to see what other fields of your promotions you still have to edit. The requirements are intended to indicate what you have completed (Ticked in green) and fields that you still need to enter (Black dot). Select the only outstanding field “Participating Business(es)“. Select a Business that you would like to participate in your promotion. 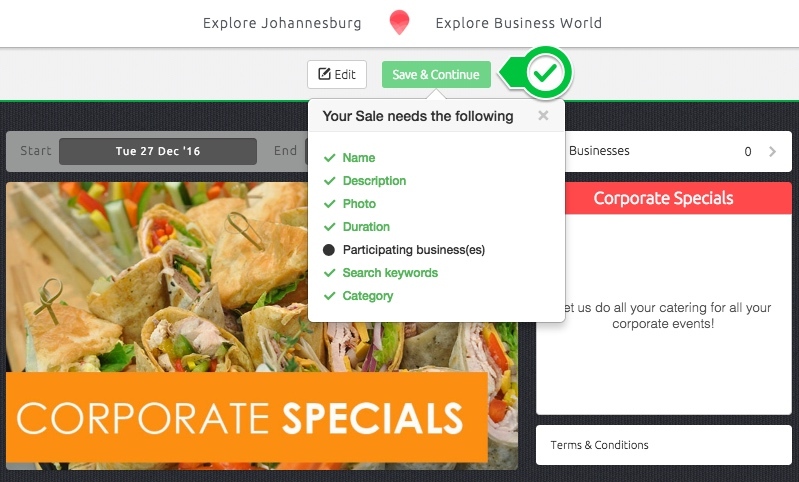 Once you have selected a Business, select the arrow (>) at the end of the tab to choose which branches you would like your Sale to be promoted in. The numbers reflected beside the arrow (>) icon, indicates how many branches are associated with the main business or parent company. Once you have selected the arrow (>) in the previous menu, you will see the branches associated with the business you want to participate in your promotion. Select the Branches that will also participate in the promotion and Select Set to complete the action. Once you have selected the branches that you would like to participate in the promotion of your Sale, select the Set button to save the changes you have made. A summary tab like this will come up to show the Business you have selected to participate in the promotion as well as the branch(es). The “Business(es)” tab will indicate how many businesses are participating in your promoting your Sale. If you click on the “Businesses” tab, you will be able to see which businesses and branches are participating.